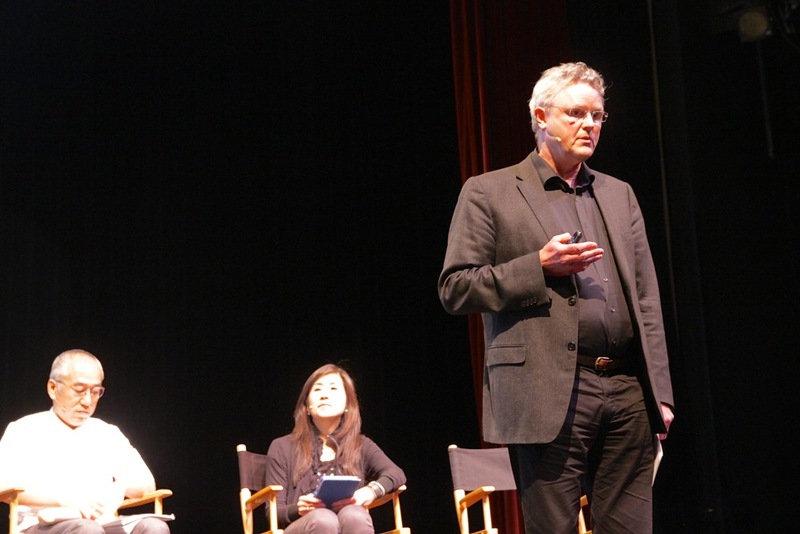 The audience present at The Science of Sushi asked our guest lecturers some great questions, and quite a few of them! Unfortunately, there wasn’t enough time to answer them all, but Ole G. Mouritsen has been kind enough to answer some of the lingering questions that went unanswered. Below his responses, we have included some additional information to help quench your thirst for knowledge (and sake). Q: Are parasites within fish common? Are they a passable health problem? A: Parasites can be common in some species, e.g., cod, mackerel, herring, and wild salmon. If in doubt, always freeze or marinate fish before eating raw. Q: What exactly is ‘sashimi/sushi grade’ fish? A: Fish that can be eaten raw. If in doubt, ask a fishmonger you trust. In the United States, the term ‘sushi grade’ is unregulated. 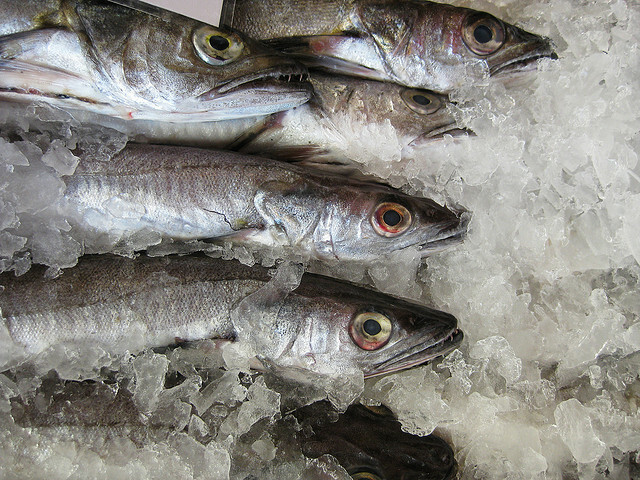 However, many suppliers have set up their own parameters for their products, often reserving the term for their most fresh fish. Q: What are your thoughts on using brown rice in sushi? A: I don’t myself like brown rice in sushi. If you worry about the calories in white rice, don’t eat sushi. During the milling process, the germ and bran layer of brown rice are left intact, and are not removed as they are in white rice. The only layer removed is the outermost layer, the hull. Some health-conscious people often opt for brown rice because several vitamins and dietary minerals are lost in this removal process and the subsequent polishing. Q: What’s your thought on cooking rice with ‘bamboo charcoal’? A: I don’t understand this question. In principle the source of heating does not matter (except if the cooking pot is open and takes taste from the burning material). 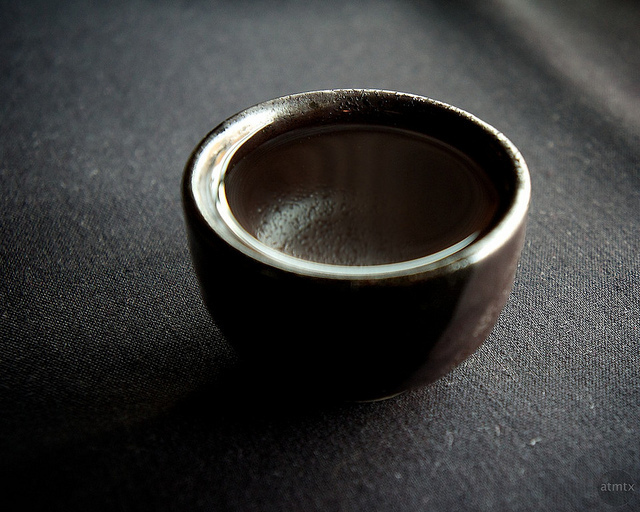 Q: Sake: does it add, hide, or subtract? A: It is a matter of taste. An old Japanese proverb says that one should not drink sake with rice (too much of a good thing). So drink sake before the sushi meal, or after. 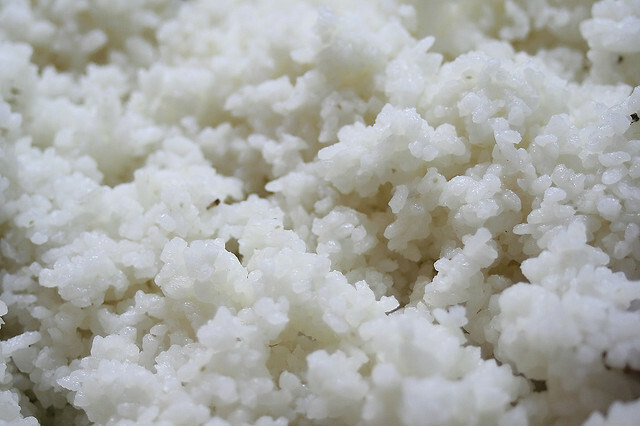 Fermented from rice, rice-koji (the mold used to convert the starch in rice into fermentable sugars), and water. Fermented from rice, water, Sake-Kasu (the lees that remain after pressing Sake; these can still contain fermentable elements), rice-koji, and anything else accepted by law. Sake to which Kasu has been added. “FDA Food Code 2009 – Chapter 3 – Food.” Fda.gov. N.p., n.d. Web. 28 Apr. 2014. Ransom, Warren. “Sushi Grade Fish.” The Sushi FAQ. N.p., n.d. Web. 28 Apr. 2014. <http://www.sushifaq.com/sushi-sashimi-info/sushi-grade-fish/>. “Sake.com: Sake Making.” Sake.com: Sake Making. N.p., n.d. Web. 28 Apr. 2014. The life of a fruit can be pretty exciting. 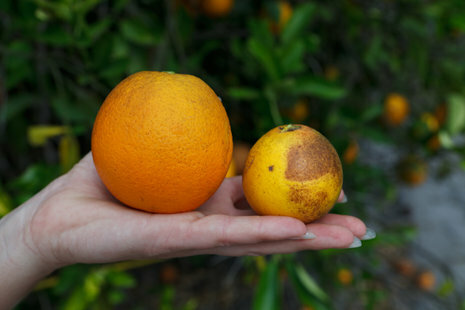 Oranges have hope from infections through gene modification and cherry trees get a boost from space rays. 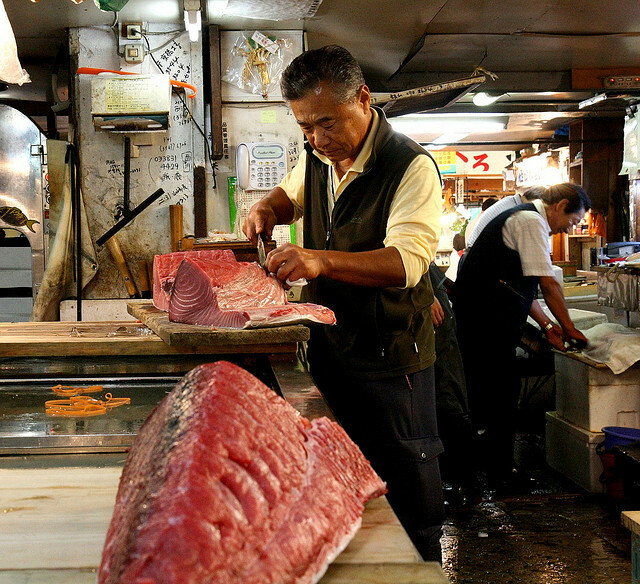 Whether or not you like eating sashimi, such a fine specimen of fish is undeniably an incredibly beautiful food. 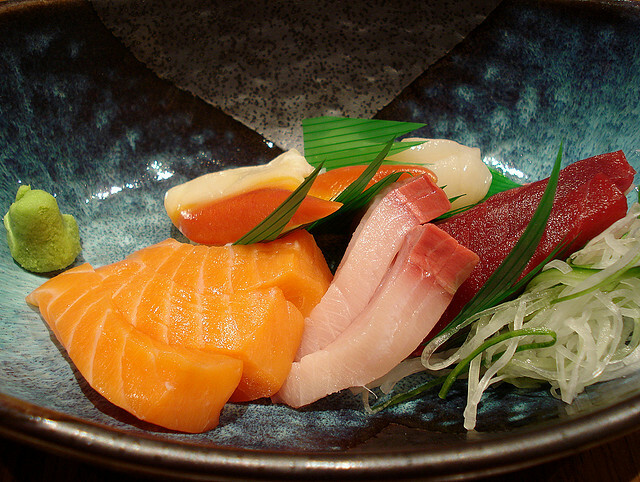 The subtle flavors, delicate texture and vivid colors make sushi and sashimi such a unique eating experience. To whet your appetite for The Science of Sushi at UCLA, here are some bits of sashimi science we learned from Ole G. Mouritsen’s book, Sushi: Food for the Eye, the Body, and the Soul. Why are fish muscles soft? If you used your finger to poke a raw filet of a bony fish like salmon or tuna, then tried this on meat from a terrestrial animal like beef or pork, you would notice that fish muscle is significantly softer than terrestrial meat. On a very fresh piece of fish, you could poke your finger through the muscle. From a basic understanding of meat texture, it seems strange that the meat of a fast-swimming predator is soft while the flesh of a slow-moving grazer is firm; typically the more an animal uses its muscles, the tougher its muscles. Yet fish tend to have the same density as the water in which they live, so they do not use their muscles to bear their own weight; fish need only to exert their muscles when they want to move. By contrast, terrestrial animals frequently use their muscles to counter gravity and remain upright. Fish simply have less work to do, and so their muscles do not develop the same chewy texture that land animals do. But not all fish have smooth and tender muscles; some species like shark have tougher meat. Why? Sharks’ bodies happen to have a specific gravity greater than the water they inhabit, so they must exert their muscles at all times to keep afloat, and thus their muscles more closely resemble a ruminant’s in firmness. About six hours after the fish is killed a phenomenon common to all animals, rigor mortis, sets in. During rigor mortis calcium ions of the proteins embedded in the muscle fibers are released, causing the muscle fibers to contract and become stiff. To delay rigor mortis for up to a few days, fish can be deep-frozen immediately after they are caught. Once the process of rigor mortis has run its course, the fish begins to decompose, the muscle fibers separate, and the connective tissue loosens. At this point it is ideal to consume the fish, as it is at its peak of softness and freshness. This type of sushi is called nojime, the type made from fish that are not kept alive after being caught. The opposite is ikijime sushi, prepared from fish with firmer muscles as they are kept alive until the last moment and prepared before rigor mortis can set in. The muscles of wild salmon and sea trout are typically orange-pink in color. The origins of this distinct shade of salmon begins at the bottom of food chain, with plankton. These little organisms contain a pigment astaxanthin. It belongs to the family of pigments called carotenoids, which includes the pigment that makes carrots orange. Tiny crustaceans eat plankton, and thus ingest astaxanthin, whereupon it is bound to proteins called crustacyanins in the animals’ tough shell. While bound to these proteins, the pigment is blue-green or a dark red-brown. This will seem familiar if you have ever seen live crab or lobster. When a fish comes along and eats the crustacean, the crustacyanins are denatured and they release the pigment, allowing its own red-orange color to become visible. The color change that occurs upon cooking crustacean shells is caused by the same protein-denaturation and pigment-release process that occurs in fishes’ digestion systems. 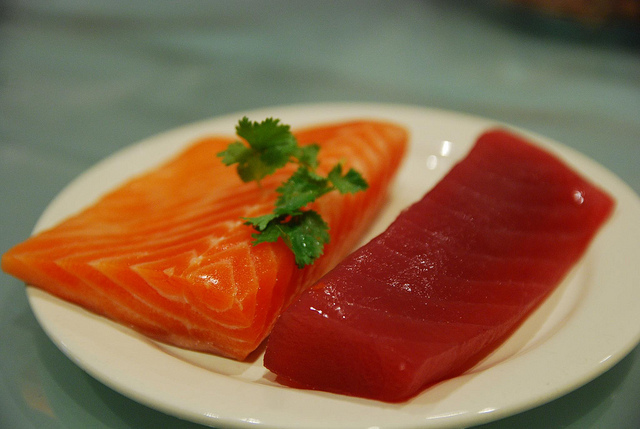 Although the proteins that form the muscles themselves are colorless, a lot of fish meat is deep red, like tuna. These colored muscles are classified as slow muscles, as they take care of work that has to be carried out on an on-going basis, namely, continuous swimming. Since they require a continuous oxygen supply to produce energy, they contain myoglobin. Myoglobin is responsible for the transport of oxygen within muscle tissues. Each myoglobin molecule can bind one oxygen molecule to form oxy-myoglobin, which is bright red. In contrast to slow muscles, fast muscles undertake smaller and more rapid movements like the slapping of fins and tail. These muscles do not contain myoglobin; instead they use the colorless starch glycogen to supply energy. No myoglobin means that these muscles stay colorless or white. Interested in learning more sushi science from the experts? UCLA Science & Food’s public lecture, The Science of Sushi, is on April 23rd. In this lecture, Dr. Ole Mouritsen will illuminate the science underlying sashimi, nori, sushi rice, umami, and more. He will be joined by Chef Morihiro Onodera who will share his approach to sushi as well as an inside look into his partnership with a rice farm in Uruguay. Mouritsen, Ole G. Sushi: Food for the Eye, the Body & the Soul. New York: Springer, 2009. Print. Wasabi packs quite a punch, but where exactly does that wallop of heat come from? That green dollop that accompanies sushi comes from the wasabi plant, also known as Japanese horseradish, which is not to be confused with its distant cousin, the more common and well-known European horseradish (Armoracia rusticana). As a member of the Cruciferae family, wasabi is actually more closely related to cabbage, cauliflower, broccoli, and mustard . Grown primarily in Japan, the wild-type species (Wasabia tenuis) are only found mountainside in streambeds and river sand bars . Cultivated wasabi plants (W. japonica), similar to the wild-type variety, comprise a cluster of long-stemmed heart-shaped leaves and delicate, spring-blooming, white flowers branching from a gnarled, thick, root-like stem known as a rhizome . Wasabi grown under semi-aquatic conditions are called sawa, while those grown in fields are called oka . Sawa is considered higher quality, as they produce larger rhizomes, thereby often cultivated for culinary purposes. Oka is largely cultivated for nutraceutical purposes, such as herbal supplements . The plants are notoriously difficult to cultivate, as they thrive best in running water . Even under ideal conditions, wasabi is difficult to farm, especially on large-scale operations for commercial purposes. As such, real wasabi is expensive and rare outside of Japan. Due to the taste similarities between wasabi and horseradish, common wasabi substitutes are usually a mixture of horseradish, mustard, starch, and green food coloring. So how does one differentiate between real and imitation wasabi? Simply taste it. 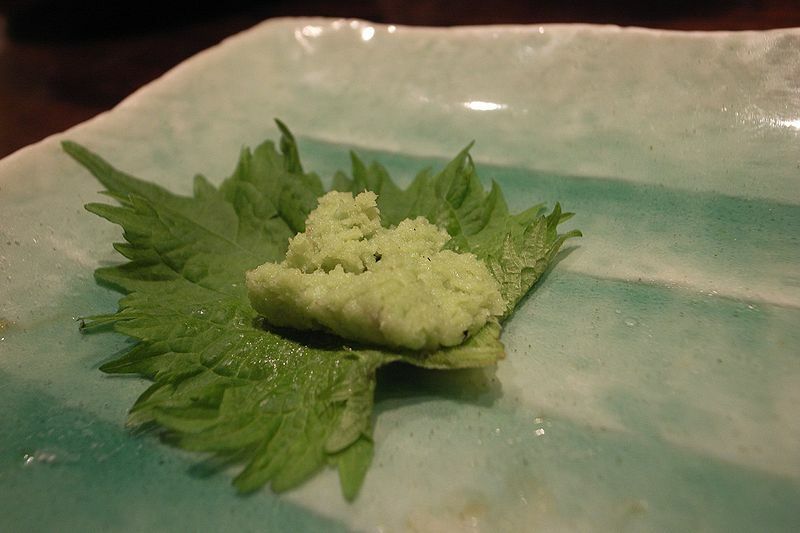 Real wasabi is made by grating the wasabi rhizome into a fine powder. Due to the high volatility of the flavor compounds, after grating the rhizome, the heat will only last for, at most, fifteen minutes, whereas horseradish-based wasabi can be left overnight and still retain its heat . Additionally, though the chemical makeup of horseradish and wasabi may be similar, it is different enough that each has a unique flavor profile. Both horseradish and wasabi rhizomes contain thioglucosides, a sugar glucose with sulfur-containing organic compounds. Maceration of the rhizome, such as by grating, breaks the cell walls and releases these thioglucosides, as well as an enzyme known as myrosinase . Myrosinase is responsible for breaking the thioglucosides into glucose and a complex mixture of a class of compounds called isothiocyanates. Horseradish and wasabi contain varying isothiocyanate amounts and compositions. There are 1.9g total isothiocyanates per kilogram of horseradish, as opposed to 2.1g/kg in wasabi. The most abundant and stable of these compounds, allyl isothiocyanate, gives real and imitation wasabi its infamous pungency . The next most abundant isothiocyanate compound is 2-phenylethyl isothiocyanate, which is only found in horseradish . All other types of isothiocyanates exist in higher concentrations in wasabi than horseradish. Allyl isothiocyanate produces a hotness in wasabi that is distinct from the spiciness of hot peppers. Hot peppers contain capsaicin, an oil-based molecule which stimulates the tongue. This spiciness can only be washed away with foods containing oils or fats, such as dairy products. Unlike capsaicin, allyl isothiocyanate vapors stimulate the nasal passages. Fortunately for heat-seekers, the amount of pain is directly related to the amount of wasabi consumed, and a little will go a long way. Fortunately for mild-lovers, because allyl isothiocyanate is not oil-based, the burning can easily be cleansed by consuming more of any food or liquid. Although real wasabi is expensive and only found at specialty stores or prepared to order at high-end restaurants, that sinus-opening sharpness is worth experiencing, even if only once. Arnaud, CH. What’s That Stuff? Wasabi. Chemical & Engineering News. March 2010; 88(12): 48. “Fresh Wasabi and Real Wasabi Paste – Technical Info.” Pacific Farms by Beaverton Foods. Beaverton Foods. “The Story of Wasabia Japonica.” Wasabia Japonica, Oka Wasabi, Semi-aquatic Sawa Wasabi. Pacific Coast Wasabi. “Wasabi (Wasabia Japonica (Miq.) Matsum. ).” Gewürzseiten: Wasabi (Wasabia Japonica, Japanischer Meerrettich/Kren, わさび, 山葵). 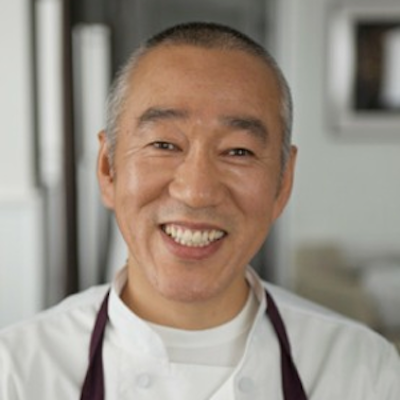 Chef Morihiro Onodera trained as a sushi chef in Tokyo, and at seminal Los Angeles restaurants including Katsu, R-23, Matsuhisa, and Takao as well as Hatsuhana in NY. By the time he opened his first restaurant, Mori Sushi in Los Angeles, he was preparing many of the same handmade ingredients, harvesting his own locally grown rice and creating handmade pottery to be used in the restaurant. After selling Mori Sushi in 2011, Mori began creating handmade pottery for several Michelin Guide restaurants in Los Angeles and established a partnership with rice farmer, Ichiro Tamaki. Tamaki farms in Uruguay will harvest its first crop in May of 2013 and will be available for distribution world-wide. The desire to want to eat and taste delicious food. My basic approach to cooking is to think about the natural ingredients and the climate (seasons) of its origin, ingredients that are kind to the body and to earth—a very simple-minded attempt with natural science at its core. I’m always seeking the true flavor of a given ingredient—that’s what fascinates me. It will be interesting to see how the true flavors of ingredients change over time—how natural science will affect that change. Simultaneously, I will continue my studies in discovering and knowing what’s kind for the human body and our earth. Rice cooker, including donabe (Japanese clay pot). Fresh local vegetables, miso, umeboshi (pickled plum), homemade yuzu kosho (pepper), and leftover cooked brown rice. 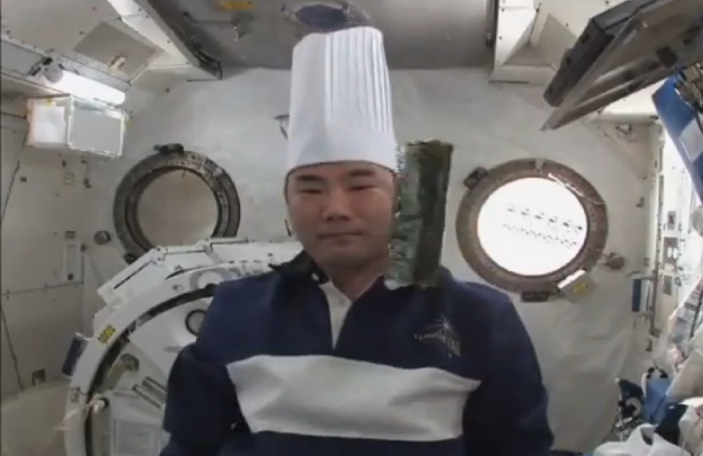 Outside of the fridge: dry goods, salted bran (used for pickling), rice, oil (sesame and olive), salt, konbu. Book series by Rosanjin (Kitaoji Rosanjin, Japanese artist and epicure). Black tea (straight). Seasonal, local fruits. Bread or hot rice cereal. Sometimes eggs (steamed) cooked with sautéed spinach. 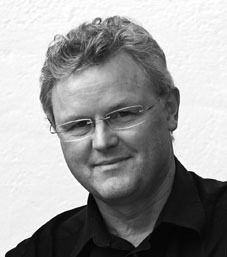 Ole G. Mouritsen is a professor of molecular biophysics at the University of Southern Denmark. His research concentrates on basic science and its practical applications to biotechnology, biomedicine, gastrophysics, and gastronomy. He is an elected member of the Royal Danish Academy of Sciences and Letters, The Danish Academy of Technical Sciences, and the Danish Gastronomical Academy. His books include Life: As a Matter of Fat; Sushi: Food for the Eye, the Body, and the Soul; Seaweeds: Edible, Available, and Sustainable and Umami. Unlocking the Secrets of the Fifth Taste. Science: Curiosity, in particular in the history of natural sciences (thermodynamics, statistical physics). Food: A combination of a continuously growing interest in cooking, a liking to eat good and challenging food (in particular Japanese food), a challenge to apply science principles to food and cooking, as well a deep interest in using food and taste as a vehicle for science communication. Access to foodstuff from the ocean as a prime source for unsaturated essential fatty acids together with the invention of cooking for producing soft food as key driving forces for human evolution. Next to that, dairy products have a wonderful science content. 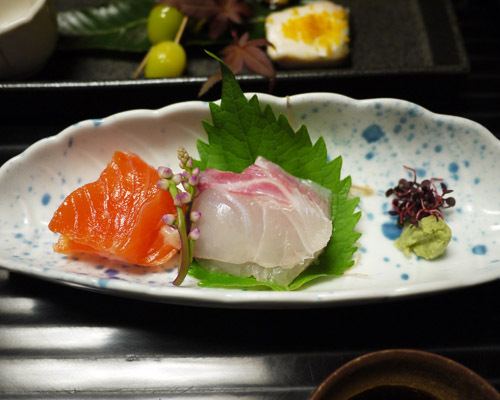 Almost all traditional Japanese food, because of the combination of its cultural history, deliciousness, aesthetic looks, freshness, and bounty of good stuff from the ocean. Are there any analogies you like to use to explain difficult or counter-intuitive food science concepts? I have found that a pacman analogy is a great way of making people understand the secrets of the synergy in the umami taste sensation. Not really counter-intuitive, but somewhat surprising and good to understand better what you already know. How does your scientific knowledge or training impact the way you cook? Do you conduct science experiments in the kitchen? I am an intuitive cook in my own kitchen and I have no patience for recipes, and hence never use cookbooks. Sometimes I ask science questions, but in most cases cooking to me is more like performing music (not that I know since I am not a musician). Also, the kitchen for me is a place for mental repair and relaxation, the foreplay being shopping at food markets. My Japanese all-purpose kitchen knife. Skyr (or yoghurt), a selection of tsukemono, marinated herring, miso, yuzu juice, and dried/smoked/aged sausages. I have no favorite cookbook (don’t care much for cookbooks). My favorite food-related book is no doubt McGee’s On Food and Cooking. At home, always skyr (or yoghurt), home-mixed basis muesli with no dried fruit but always with roasted buckwheat, topped with a sip of fresh orange juice and possibly some fresh blueberries, if in season. To drink, fresh orange juice with as much pulp I can get and black tea. When traveling, I am an omnivore and prefer to eat like the locals. This week marks the beginning of UCLA’s Spring Quarter, which can only mean one thing… It’s time for the Science & Food undergraduate course! 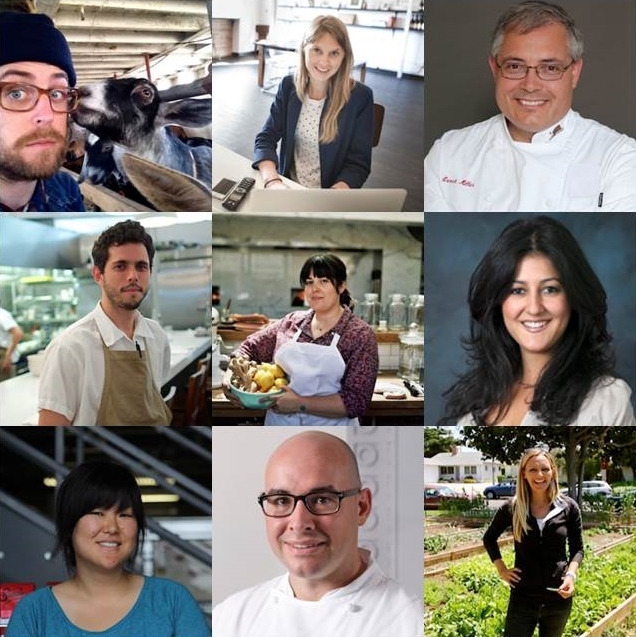 We have a stellar lineup of chefs and farmers slated for our third annual offering of Science & Food: The Physical and Molecular Origins of What We Eat. Although the course is only open to current UCLA students, we will be posting highlights from the course right here on the blog. Until then, check out this year’s course speakers and brush up on some of the great science we’ve learned in past courses. And don’t forget: the Science & Food 2014 Public Lecture Series is fast approaching, so be sure to get your tickets before they sell out. Hope to see you all there!